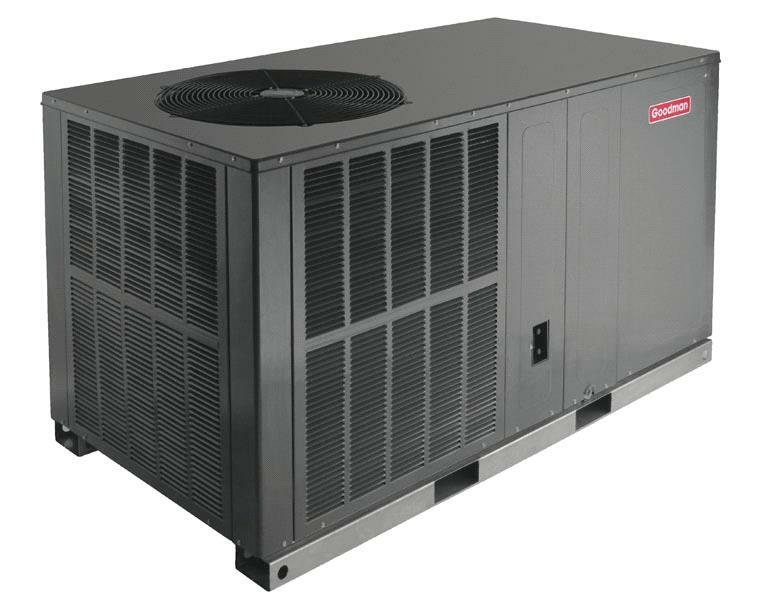 The Goodman GPC1424H41 is a self-contained, packaged air conditioner. For air conditioning, this model uses an energy-efficient compressor with an internal release valve. This line of air conditioners uses the environmentally friendly R-410A chlorine-free refrigerant for cooling. It has a 2 ton and 23,600 BTU cooling capacity.